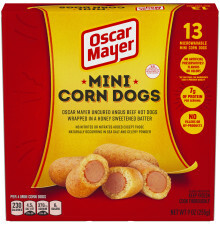 Quick, convenient and always high in quality, Oscar Mayer frozen snacks are ready to satisfy in minutes. 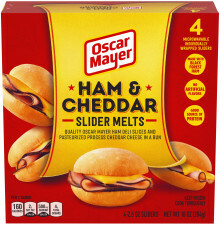 From Black Forest Ham & Cheddar Slider Melts to Mini Corn Dogs with no fillers or by-products, Oscar Mayer’s frozen snacks are the easiest way to the quality you crave. 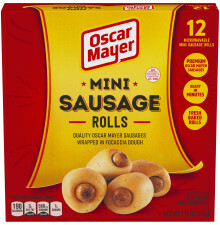 It only takes a little imagination to create big flavor. Your favorite salad dressing can easily become your favorite dip. Add a little kick to your dip by mixing a teaspoon of Sriracha into ¼ cup of Heinz Tomato Ketchup. 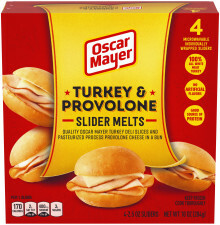 Refine your palate by adding a teaspoon of Grey Poupon Dijon Mustard to three tablespoons of Kraft Real Mayo. Sweeten your savor by adding Kraft Asian Toasted Sesame Dressing to Heinz Tomato Ketchup.